Mary Ittelson, the MCA's first associate director; a former chair of the board of trustees; and current life member of the board. Ittelson was also acting museum director between the tenure of I. Michael Danoff and Kevin Consey. I photographed her in the MCA's Puck's cafe where she is standing in front of Martin Creed's Work No. 1351. We spoke about her long history at the MCA and the efforts between a cast of unlikely characters involved in negotiating the museum's new site. She relays an anecdote involving National Guard generals, parking, and Chicago Bears football. Mary Ittelson stepped into her first museum role as plans were underway to transition to the new armory site. Within weeks, I. Michael Danoff resigned his directorship. In an August 10, 1988 Chicago Tribune article on the Danoff's impending departure, board of trustees president, John D. Cartland said, "We will look primarily for someone with the artistic vision to lead us into the new building. The person will assume curatorial and educational administration, conceiving and executing some exhibitions while being a spokesman to the community. But that's a large enough order. The remaining administration will be handled by Mary Ittelson, our associate director." Chief curator Bruce Guenther eventually joined Ittelson as a co-director until Kevin Consey arrived at the museum in November 1989. Newspaper headlines as Marry Ittelson arrived at the Museum of Contemporary Art Chicago, and then became its acting director and then co-director until a new director was hired nearly a year later. She continues to serve the MCA as a life member of the board. 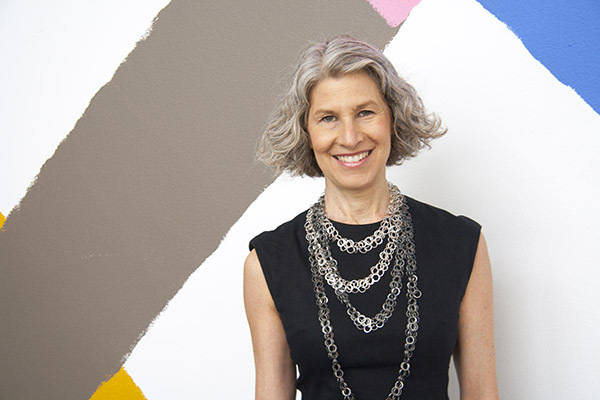 Within a month, Danoff left the MCA and Mary Ittelson became its acting director. Kevin Consey was chosen as the MCA's new director at the beginning of August, he would assume the position in November.